Chelsea target Richarlison from Everton to boost their attacking options. According to the football transfer rumours in British media, Chelsea are linked with a move for Everton forward Richarlison. The Brazil international joined Everton from Watford for a fee in the region of 39.2 million euros in July 2018. His contract expires in the summer of 2023. This season, Richarlison has scored 11 goals and provided 2 assists in 27 appearances for Everton. The 21-year-old is considered to be one of the best forwards in Brazil. 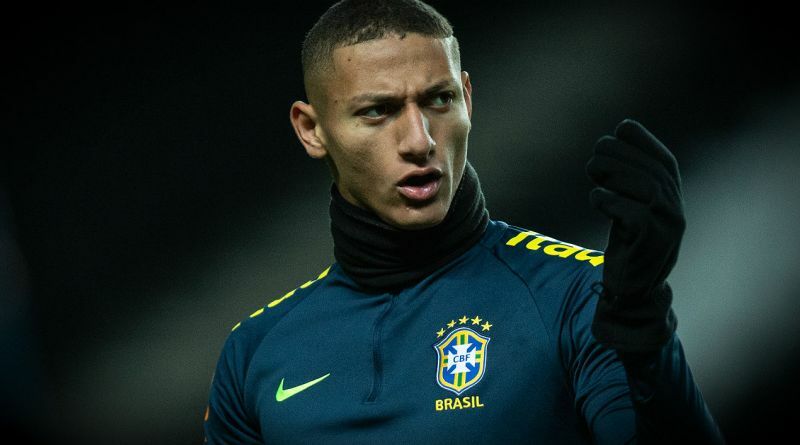 As a member of Brazil national football team, Richarlison won 6 caps and he scored 3 goals. The Brazil international has impressed in the Premier League this season and is starting to attract the interest of bigger clubs. Maurizio Sarri has always been a manager who keeps his eyes on the most talented young players across the globe. The Chelsea manager has been impressed by his performances this season and could make a move this summer. Richarlison can play multiple positions in attack. It would take a huge offer from Chelsea to prise the 21-year-old forward from Everton. Signing the 21-year-old in the summer transfer window would be a masterstroke from Maurizio Sarri. Stylistically, Richarlison would be a great fit in Chelsea. It will be interesting to see whether Chelsea will make their move during the summer transfer window.